We offer a CCTV drain survey service to domestic and commercial clients in London, Essex, Hertfordshire, Bedfordshire, Cambridgeshire and Buckinghamshire. If you require a drain survey, feel free to speak to a dedicated member of our staff. Why Do We Survey Drains? There are loads of benefits of a CCTV drain survey, knowing that your drains are in good shape and not going to collapse. There are no drainage plans or plans are not up to date. Drain tracing and mapping, proposed excavations and extensions, property sold or buying may need a drain survey to find rat infestations, root ingresses and to stop a drain before collapsing and use a structural drain liner. After the drain survey has been completed the high-definition recording will be analysed it will allow us to have an accurate understanding of your drain’s condition and the information will be placed on a drainage survey report. Our drains surveys consist of CCTV drainage survey footage, drainage survey report, a diagram which will have a key with it so you can navigate through the survey and remedial works. We will supply you with a DVD copy of the recording or send the drain survey through to your email address so you can view it or make further copies, which mean you can see the drain issues for yourself. How We Do CCTV Survey Of Your Drains? We use state-of-the-art fibrotic CCTV camera units with high definition screens to investigate your drains. In some cases, the drains we survey have not been seen for 100 years. Without our camera units, an excavation would have to be undertaken to provide us with an insight into what is happing with your drains. When our dedicated engineers arrive at your premises, they will be able to assess what access they will be able to survey from and if the drains need to be made accessible to perform a CCTV drain survey. They will inform you of how the survey is going forward and keep your rest assured. We use state of the art fibrotic CCTV camera units with high definition screens to survey your drains. Our dedicated members have a vast knowledge of different drainage systems. 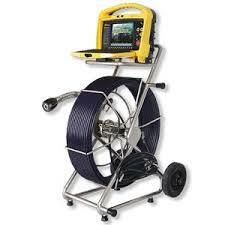 Grey Water 24hr services use state of the art drain tracing equipment that can pinpoint our cameras underground. Our fully qualified staff will help you get the best from your drainage system and give great advice on how to look after your drains. We are a member of the national association on drainage contractors. Being a member of the NADC, we are informed of the latest legislation of drainage and state of the art modern technologies. With this information we can perform our tasks safer and more cost-effective, providing you with greater customer service. Find The Cause With A CCTV Survey!